Rovshan Ibrahimov is a former head of Foreign Policy Analysis Department at Center for Strategic Studies under the President of the Republic of Azerbaijan. He received BA, MA, and PhD in political sciences at Ankara University. 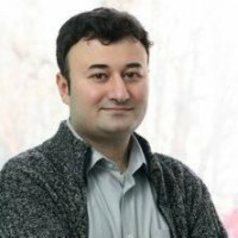 Dr. Ibrahimov has been working at Qafqaz University in Baku since 1999. He has served as Director for Center of Energy Studies, Head of International Relations Department, Head of Regional Studies Department, and Vice-Rector on External Affairs. A known expert on energy policy and security, Azerbaijani foreign policy, and politics of Southern Caucasus, Dr. Ibrahimov also serves as an affiliated scholar for a number of Turkish, Russian, and British think tanks. He also produces a TV program and writes columns on foreign policy. Dr. Ibrahimov is the author of more than two hundreds professional articles and commentaries. Currently he is also teaching at Azerbaijan Diplomatic Academy (ADA) University.